Goodwood Construction Ltd - Bathrooms, Bedrooms, Builder, Kitchens based in Leigh-on-Sea, Essex. Affordable. Reputable. Quality builders with 25 years combined experience in construction. 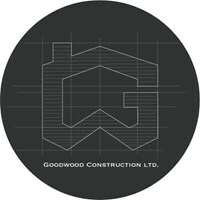 Goodwood Construction LTD is a company founded by two friends with a passion for construction located in Leigh on sea. We pride ourselves on attention to detail and customer satisfaction. Whether its large or small project, modern or traditional we will work we will work with you to ensure that your desired design becomes a reality.